Let’s go to Egypt! I just found a great deal for you guys on Sunweb. For only 2.850 kr you can take a 7-day trip to Hurghada, with a 4* all inclusive hotel, flights and the transfer to the hotel included. Your hotel is the 4* Ali Baba Palace with all inclusive, enjoying a prime beachfront location in Hurghada. With its variety of pools and it offers different activities for adults and children. The hotel has a beautiful garden to relax, a kids club for children and a very good restaurant. On TripAdvisor the 4* hotel has received a good 4 out of 5 overall rating from 865 reviews. The flights are with A.M. Universal Airlines from Copenhagen to Hurghada. Included in the price is both checked luggage and hand luggage. There are dates available from November 2018 – March 2019, you can find the cheapest prices from November – December. Click on the link and try it out with your preferred travel dates. Let’s go to the Hurghada deal! Sign up for our Newsletter, and don’t miss anymore deals. 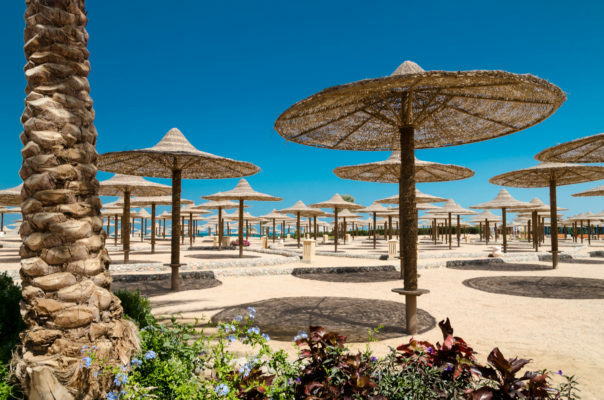 You’ll be the first to find out about our Hurghada bargains!